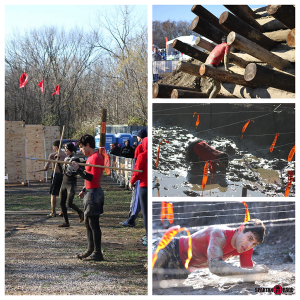 Midwest Super Spartan Race – Best Obstacle Race of the Year? 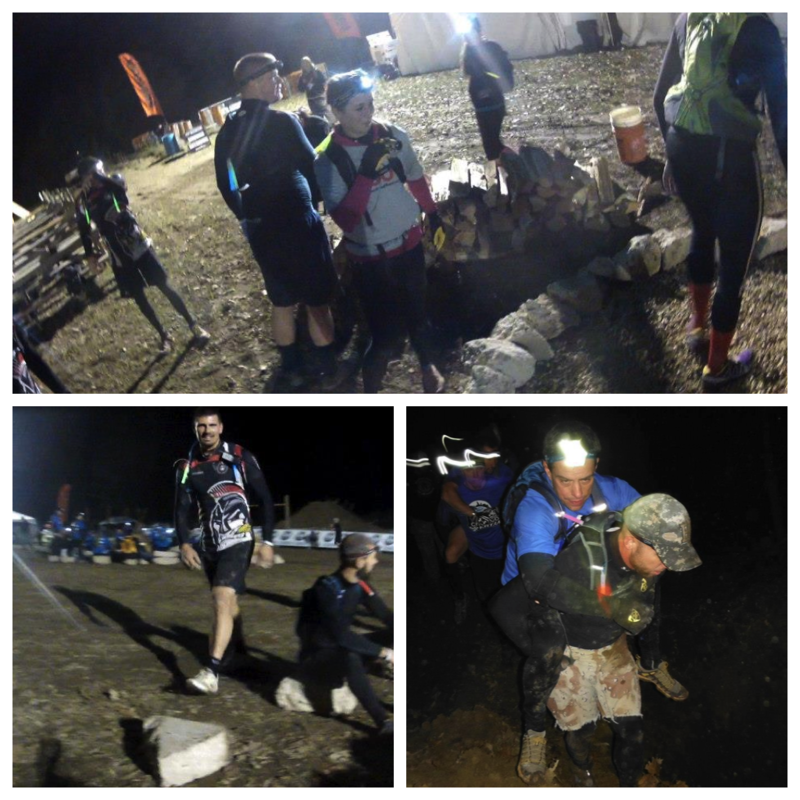 It’s been difficult finding where to even begin in regards to the weekend of non-stop obstacle racing fun. Just a year ago, I was attending my first ever Spartan Race. I had been emailing back and fourth with Tommy Mac trying to gauge how difficult this obstacle race would be in comparison to the Warrior Dash and Tough Mudder I had done a few months before. Fast forward to this year and just days before I was torn on whether or not I would attend the Hurricane Heat the night before the race. My focus this year has been becoming more and more competitive. 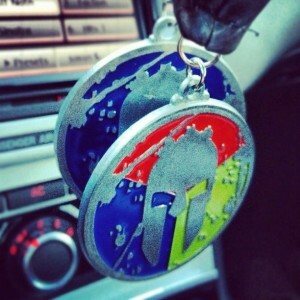 It has been ever since my performance at the Texas Super Spartan I went to for my birthday weekend last December. Throughout the year I’ve had some injuries and mishaps that have held me back. The two weeks leading up to this race I did a lot of nothing. The Chicago Marathon left me with some pain that only dissipated during the days leading up to the Midwest Super. 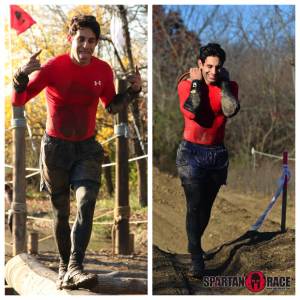 This left me with a tough choice, I wanted to be competitive in the Super Spartan come Saturday morning but I really wanted to celebrate my one year anniversary of Spartan Races the best way I knew how, with a Hurricane Heat. I emailed Tommy a few days before the HH and told him my situation. He gave me the details on when to be there incase I could make it. I decided Friday morning that I would leave work an hour early and make my way there. If I arrived early enough, game on. With an hour to spare I pulled into the familiar parking lot that has become host to the Midwest Spartan Race and home of the permanent obstacle course I helped with this summer, Dirt Runner. This specific weekend would be my last weekend of racing for an unknown amount of time, I’ll finally have my shoulder-tear fixed in the coming weeks. I decided having fun and enjoying my weekend the way I wanted to was more important than how competitive I would be this weekend; I can save that for next year when I’m at 100%. It was fantastic to see so many familiar faces. As I finished getting “suited-up,” Jennifer, my homegirl, Death Race crew, and the first friend I made from Spartan Race (because of last year’s HH) pulled up with her father who came along for the fun. We walked into the festival area and met up with Tommy. He was happy and relieved to see us, we could help lead the groups for the Hurricane Heat. 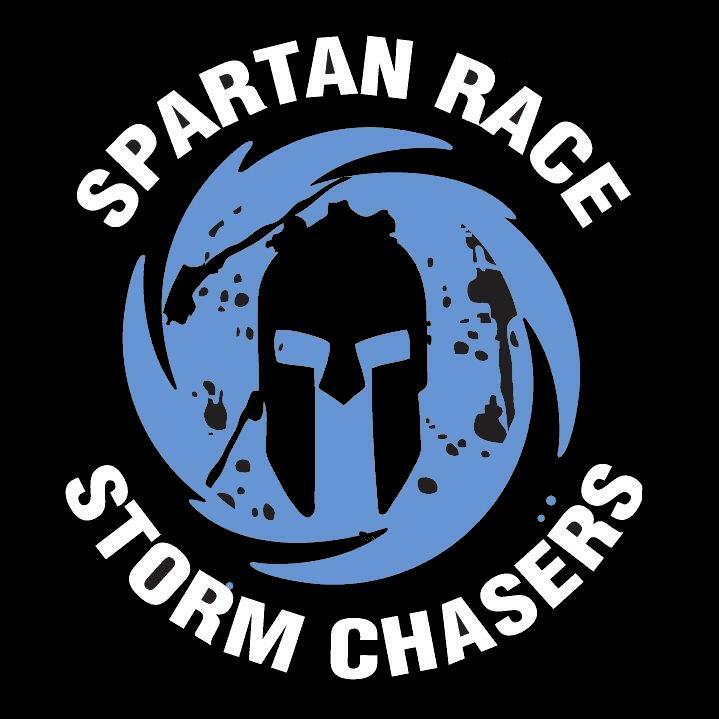 For those of you who don’t know, a Hurricane Heat is a Team event that does team oriented tasks while going through the course alongside Spartan Race employees and/or Founders. Tommy and I had a few talks back and fourth months ago about possibly having me lead a group, and now it was time to step up to the challenge. Jennifer and I decided to stick together, last year we had to lead our team back towards the end of the HH because our leader was a bit….incompetent. There were 87 people who showed up and we broke off into teams of 17-20. 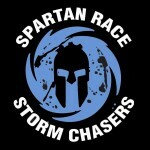 There were the Cornfed Spartans, Chicago Spartans, Randoms, Badass, and our beloved Storm Chasers group that I joined last year after completing my Texas Hurricane Heat. Jen and I led the Storm Chasers, our first mission was to get 5 fire pits built using the wood, concrete and gravel that was available in the surrounding area. After a few hours of going through the course backwards, climbing walls, being carried, carrying people, doing burpees, and more we successfully completed another Hurricane Heat. It was the best one I had ever been a part of. It was just smooooooth. I think the reason for that was the fact we stuck to the course and didn’t go off course at all. This HH was nothing but smooth sailing, with some sick PT thrown in the mix, those frog jumps and bear crawls at the end were KILLER on the glutes, quads, and hammies. Jennifer and her dad did great, we all did. There wasn’t a single team that really “screwed” up like there have been in past Hurricane Heats. It was a great one year anniversary and I’m very happy I opted to participate. After the Hurricane Heat I was able to head back to the Marriott with Jennifer, her husband Danny, and her father. Jennifer’s mother was waiting for us back at the hotel. I have to thank the Sullivan’s again for letting me stay with them. Leading up to the event my mind had been so preoccupied with setting up for the Training Camp that I forgot to book a room since Matt B. Davis would no longer be making the trip. Jennifer and her family saved the day though and allowed me to stay with them, for that I thank you so much. It sure beat my plan to just sleep on site in my car. Start of the race…Let’s Stay Warm, Group Hug! Come 6:45AM I was wide awake. Being my last competitive race of the year I was bit anxious for morning to arrive and woke up a few times throughout the night. Yet somehow, I felt fantastic. I guess race day can do that to you, I just felt so pumped and alive as I pulled up to the race venue. 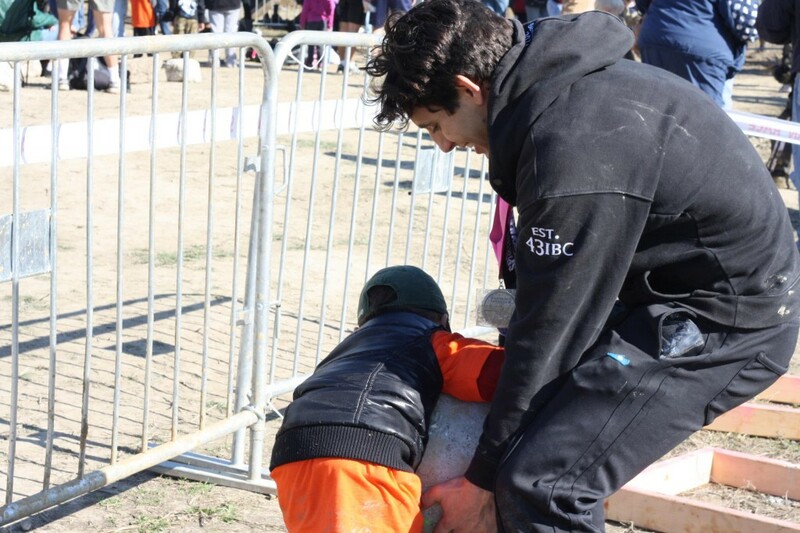 One of my favorite things about the Spartan Race series is the community, everyone is just amazing and more important than any race is the happiness it brings me to see all my racing friends. I left my photo ID in the car, not thinking and had to do some running back and fourth. My father met me for the race to cheer me on which I’ve gotta tell you, that is the best thing in the world to me. Having him there to support me at these past few races has been a game changer. It was closing in on the 8AM starting time and I was running around like a mad man to get ready and make it to the starting line. I was there at the front of the start line with a lot of the amazing women in the obstacle racing circuit, Andi Hardy, Ella Anne Kociuba, Margaret Schlachter and Amelia Boone. 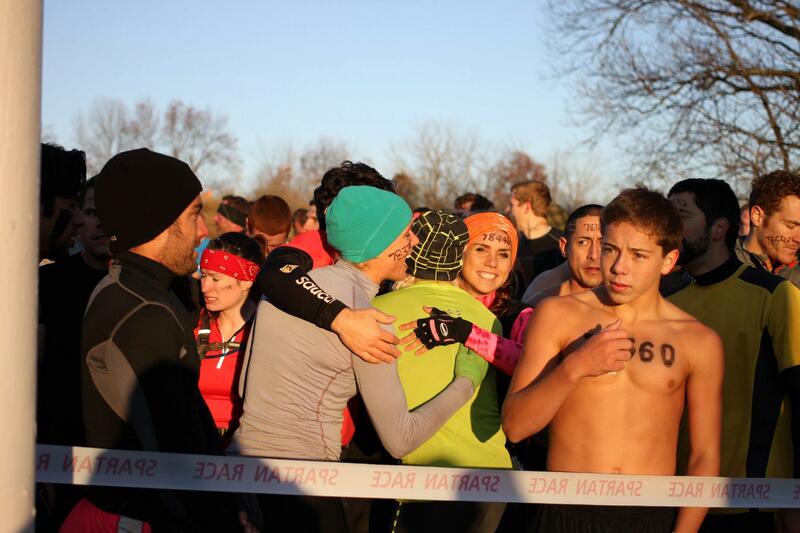 With the cold weather keeping us nice and chilly we all shared a group hug before the race began. Once the sport smoke bombs dropped we took off. I felt good as we began. Not too sore from the night before, ready to tackle anything Spartan Race would throw my way, hell I helped set up much of the course from helping Dirt Runner earlier this year. Within the first two miles I realized they made this a runners course. Not exactly my cup of tea. I’ve learned to love running but it’s still not my favorite. For a while I was pitted against my friend and fellow racer of EPIC Racing Arena, Michael Sandercock, we took turns swapping places and rocked out a few of the obstacles together. Some time after the obnoxiously long sandbag carry I began to gain some distance. Herein lies yet another thing I love about these races, even though we’re competing against each other there still exists a level of camaraderie that I’ve never experienced in ANY sport. 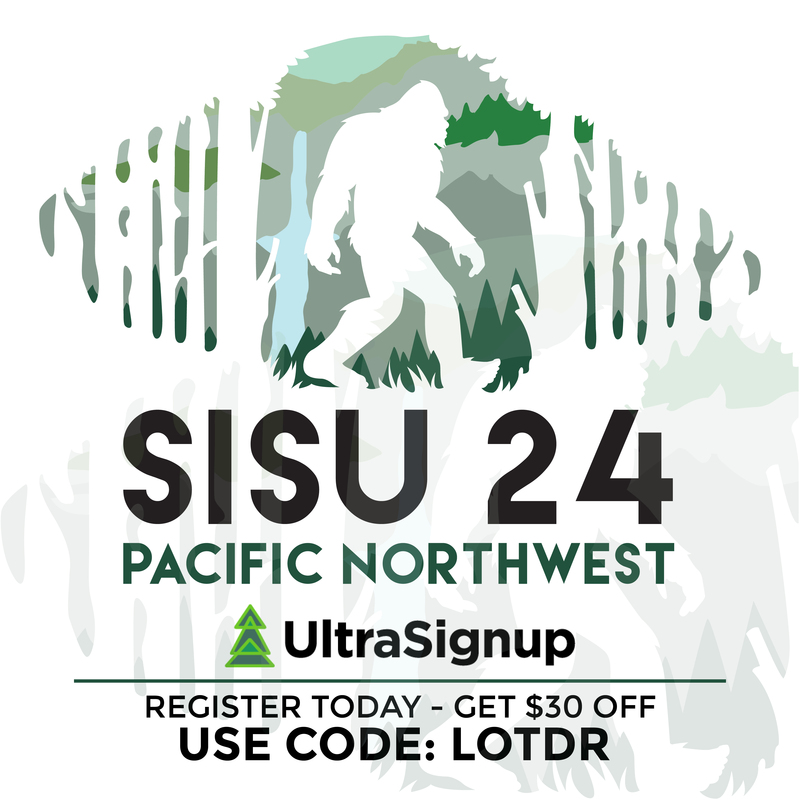 As I neared the end of the course, and I knew it was coming because the end was the same as the start of the Dirt Runner course, my mind switched to focus mode. The traverse wall and the spear throw awaited me. 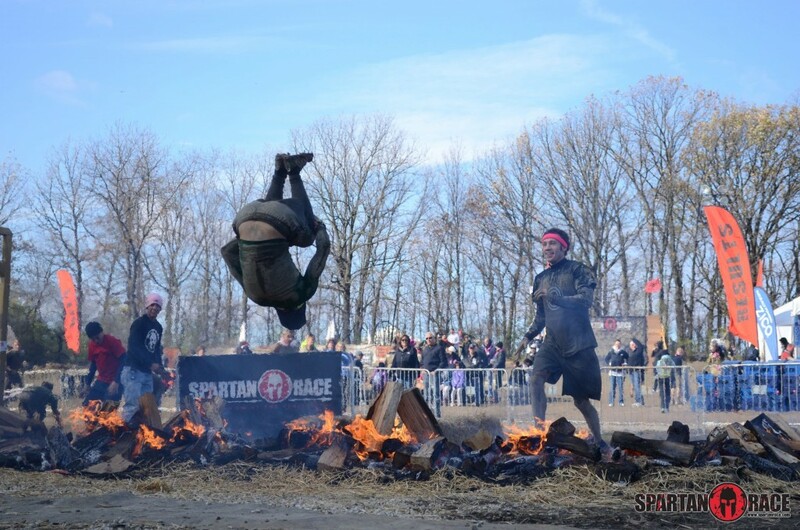 When I made it to the spear throw I took a deep breath, focused on the training that Junyong Pak gave me at the Ultra Beast, took my three step approach and let the spear fly out from the grasp of my fingers. As it glided through the air and approached the Spartan hay bale targets I could tell it had the distance, my heart was beating wildly. For an obstacle that takes only a few seconds to execute, it can cost you 2-3 minutes of burpees should you fail. “Hell ya” I cheered as the spear pierced the target. At long last I hit my first target in a Spartan Race! The finish line was within sight. Just a quick leap over the fire and a swim out to the rope climb in what was manhood-shriveling, freezing cold water followed by a ridiculously sloppy, muddy barbed-wire crawl (which I log rolled through half, instantly bringing back Death Race memories, and crawled the other half) stood in my path. Then it was a quick climb up the impressive Dirt Runner log-obstacle, a battle with the gladiators to finally cross the finish line. It was then that I was presented with my bright blue Super Spartan Finishers medal. The course felt shorter than a typical Super Spartan, and it was. We found out later this was because of the weather leading up to the race left some of their excavating equipment stuck out on the course. It was still a very challenging race, and probably the best one I’ve done. Not just because I discovered I placed 14th Overall and came in a minute after Amelia Boone with a time of 1:29:51.3, but because the course was different. It was fun, challenging, and simply put, amazing. I really am having the time of my life! Oh yeah, finally nabbed myself my long awaited Trifecta too. Pull-Ups Challenge. Andi Hardy is one tough cookie! Soon after getting out of my wet clothes and into some dry ones I was able to spend time hanging out and participating in some of the festival challenges. 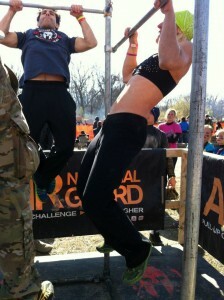 Andi and I entered a pull-up contest and she trumped me by one pull-up, 22 to my 21. Who says women can’t do pull-ups?! Around noon time they had the Spartan Kids Race and somehow I managed to get my coworker, Lena, to bring her kids out! They had a blast and her daughter even said “I want to grow up and do the big race!” How freakin’ cute is that?! Later I made my way to a Corn Fed Spartans/Chicago Spartans party at Missy Morris’s casa and we all enjoyed food, beers, and great people. Missy and her husband were incredible hosts and even offered me a couch to crash on. Again, I thank you both! Sunday morning did not start out as well as I’d have liked. After two days of racing I realized I was out of dry compression pants. Thankfully one pair had already been rinsed off thanks to my pops but were still too damp to wear. I slept right next to the laundry room and threw them in for about 10 minutes. I arrived on site maybe 15 minutes later than I’d have liked but still had plenty of time. Today, I that plan was to run the race at 9AM with my cousin for his first Super Spartan. He came out last year for the Midwest Sprint and also ran the Indiana Founder’s Race as well. Derek, my cousin, and his friend John met up with me and we made our way to the starting line. Derek had just gotten his first pair of Inov-8 shoes, he went with the Roclite 295’s and within the first 20 minutes of the race was 100% satisfied with his purchase as we looked back and so people slipping all over the place. Derek and I set a pretty decent pace and maintained it for a majority of the race. I noticed a few changes had occurred since I ran the race the day before. The entrance to the first barb-wire crawl was purposefully gated to force you into the puddles of water but we quickly made our way to the left. Though it was still sloppy it seemed like a much better route than through the cold puddles of muddy water that formed down the middle. Running with my cousin was an excellent experience. We were able to help each other over obstacles, keep each other in high spirits, and able to do the number one thing at these events, have fun. There were a few points where I felt my body getting a bit pissed off at me, three days of racing was definitely taking its toll. Not only that but the mud seemed….heavier this time around. It actually felt like it was slowing me down quite a bit. 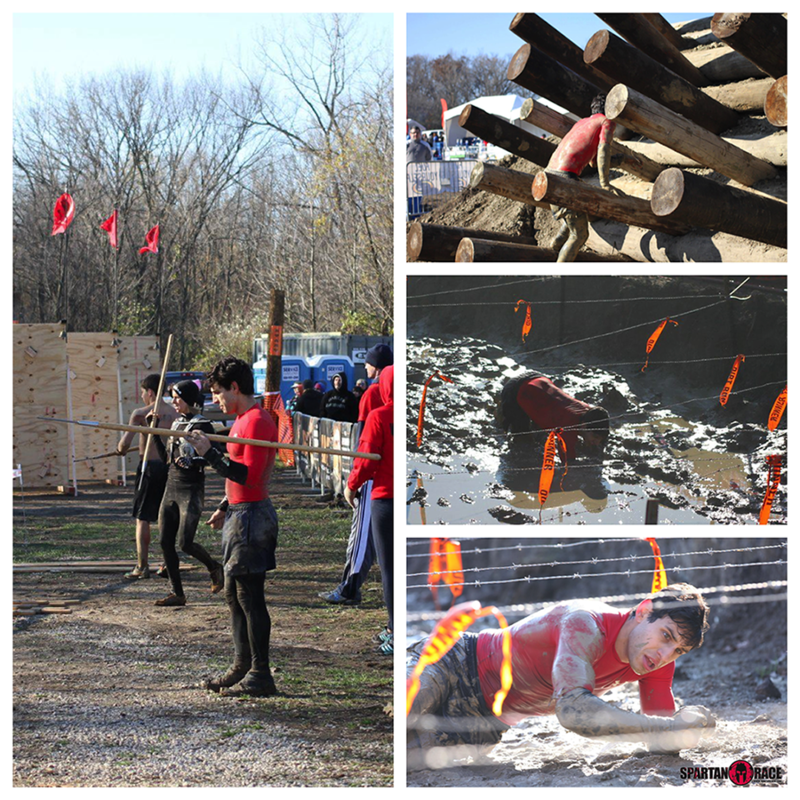 We rocked out almost every obstacle, I slipped at the very end of the balance logs and had to do 30 burpees. I gave my cousin a brief spear throw lesson before the race and we both nailed it! Back-to-back spear throw success! Booooya! When we finished the race together we clocked in at just under 2 hours which was still better than the average time. After receiving our medals, Derek and I hung out, had some sausages, and waited for John to come through the finish. Even after John completed the race we continued to hang around for a bit, taking pictures and enjoying the atmosphere. Yes, this was the best race of the year, and it’s because of all the above. 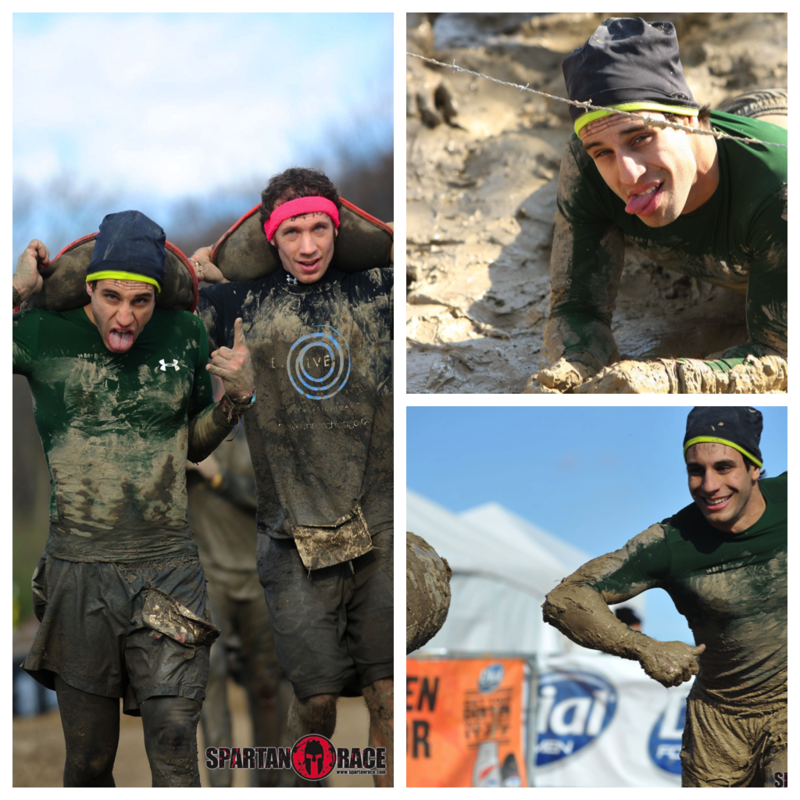 Spartan Race has changed my life. And I just can’t get enough.